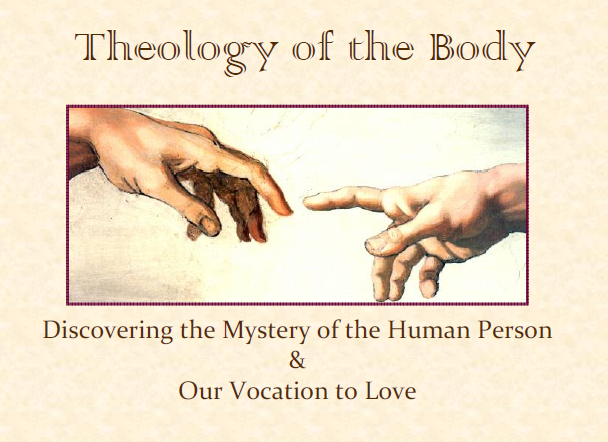 Catholic News World : 5th International Symposium on Pope John Paul II's "Theology of the Body"
5th International Symposium on Pope John Paul II's "Theology of the Body"
5th INTERNATIONAL SYMPOSIUM ON JOHN PAUL II'S THEOLOGY OF THE BODY which will take place between 28th - 30th June, 2019, at Rolduc Abbey, Kerkrade, Netherlands. We have a great lineup of 11 international Speakers Talks who will cover vital topics. The list of Speakers includes Cardinal Eijk (Netherlands), Janet Smith (USA), Fr. Kevin O'Reilly OP (Angelicum) and Mgr. de Jong (Netherlands). There is an Early Bird registration fee people can take advantage of before the 22nd of April! 2019 marks 40 years since John Paul II presented his first “Wednesday catechesis” on the Theology of the Body. This fifth International Symposium will be held on the week-end of the Feasts of the Most Sacred Heart of Jesus and of Saints Peter and Paul. It will discuss and promote John Paul II’s Theology of the Body within a general theme—Defending and Promoting Human Dignity in a Secular Age—centering around the 50th anniversary of the promulgation of Humanae Vitae. All the talks will be given in English. The goal is to make a contribution to healing the current cultural situation of the Church and humanity with respect to sexuality, marriage, the family, education and human happiness by exploring ever deeper the goodness, truth and beauty of the Divine plan for human life and love. We wish this event to be an opportunity for a deepening of personal faith and self-understanding that will inspire greater participation in the New Evangelization. Since the Symposium will facilitate the bringing together of people from many countries and cultures, it is our hope that this encounter will also foster and develop prosperous networks to assist participants with their own evangelization initiatives.